The Fisheye camera sees a sweeping 170-degree view – compacting everything around you into a compact circular fishbowl image. Get right up to your subject’s nose for slamming distortion effects. The huge depth of field renders both the foreground and background in complete focus. Its premium glass lens offers bright colours and knockout contrast. 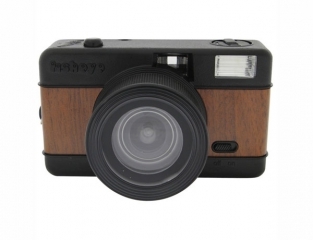 The camera comes complete with a built-in electronic flash for day or night use. 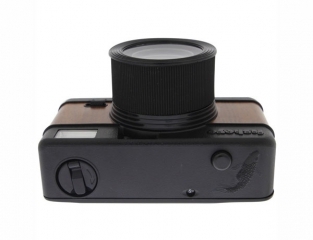 The camera uses any type of 35mm film that can be processed at your friendly photo lab. 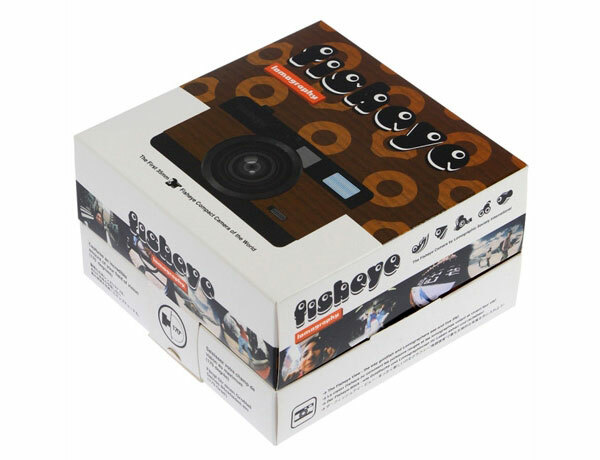 When you purchase this camera, the package includes a flex lens cap, wrist strap, a poster, instruction manual and the gorgeous “Fisheye View” mini photo book! Did you import for personal use, or do you distribute? Would love to get my hands on one of these! 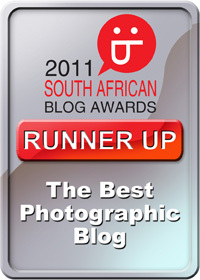 Next post: Corporate Portraiture: What does your portrait say about you?